Joan Holmes passed away last week (7 Jul 1936 – 29 Jan 2014). We spent some great time with the Holmes family in 1999. 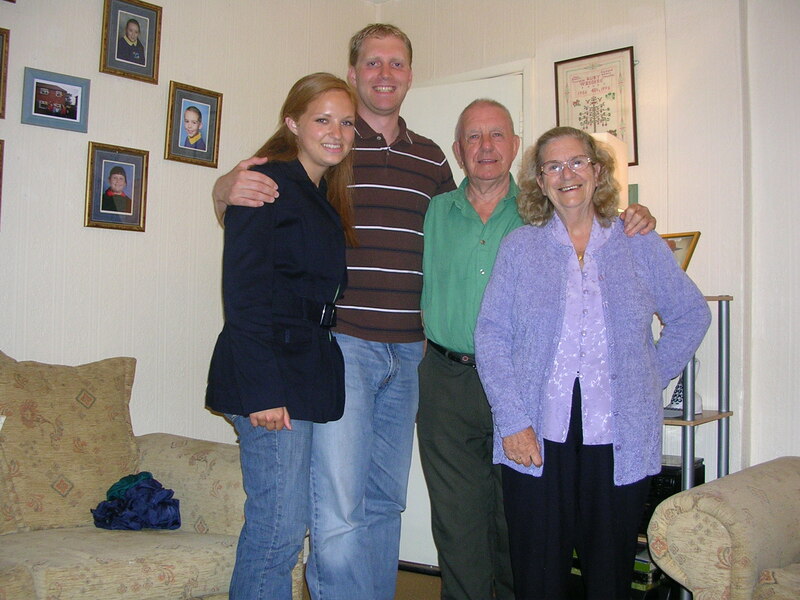 I visited them again in 2003 and 2008 at their home in Runcorn, England. I thought I would bid my own farewell to Joan with this picture. Rest in peace Joan until we meet again. You were sure a lot of fun. Ray, all the best in this difficult time. This entry was tagged England, Holmes, Ross, Runcorn. Bookmark the permalink.